In October 2016, Tipper was invited to Freeport, Grand Bahamas, Bahamas, to speak at the E.A.G.L.E.S. Youth Summit. 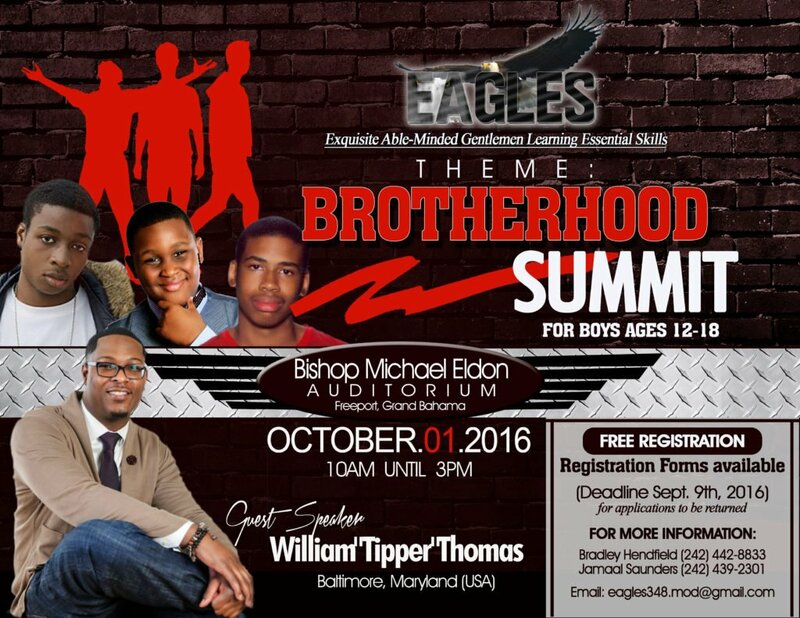 The summit was themed “Brotherhood” and was geared towards fostering an environment that allowed young men to be equipped with the skills they will need in life. The event was well put together and well attended by the young men of Freeport. Tipper was well taken care of by The Hendfield Family and the Grand Bohemian’s of Freeport. Tipper’s story resonated in a great way with the young men of Freeport. Many of the young men struggle with not having many positive role models in their lives and poor education. To hear that they can still accomplish whatever their dreams are despite it all, really hit home for them. Channel Fox 45 News Highlights Tipper as a Champion of Courage for his work with The T.I.P.P.E.R. Foundation, Inc.